Over the years, Attention Deficit Hyperactivity Disorder (ADHD) has plagued the medical world. Actually it plagued the victims and baffled the medical world. The term ‘baffled’ is used because as of yet, it is still not clear what causes ADHD. So while some theories say it may be hereditary, others say it is caused by a chemical imbalance in the brain. ADHD, like the name implies, is a complex mental disorder which affects children and adults alike. This disorder causes a person to act without thinking, become hyperactive, and makes a person unfocused and unable to pay attention to anything for long. This makes it a whole lot harder for children to excel in school, and in relationships later on in life. It can be difficult for parents knowing that their child has ADHD, because there is an attached concern as to how well the child will perform in school, and life in general. But there is still some hope. ADHD is treatable with medication and therapy. With these measures, the child won’t suffer from it in adulthood. Children who have learned how to treat their ADHD go on to live normal and fulfilling lives given the right treatment. The most important thing here is the fact that a child with ADHD is to be understood, so their parents can help them in overcoming the disorder. And in order to do so, parents must learn to identify whether or not a child has ADHD, and how best to cope and aid with the recovery of the baby. The thing about ADHD is that it shows up early in a child’s life, and an observant parent, guardian or teacher can quickly notice the issue and work on helping the child. The signs can be glaring and one of those signs is leaving tasks incomplete every time. Once may be okay, but when a child has difficulty completing tasks, so much so that it becomes a habit, then it may time to test the baby for ADHD. 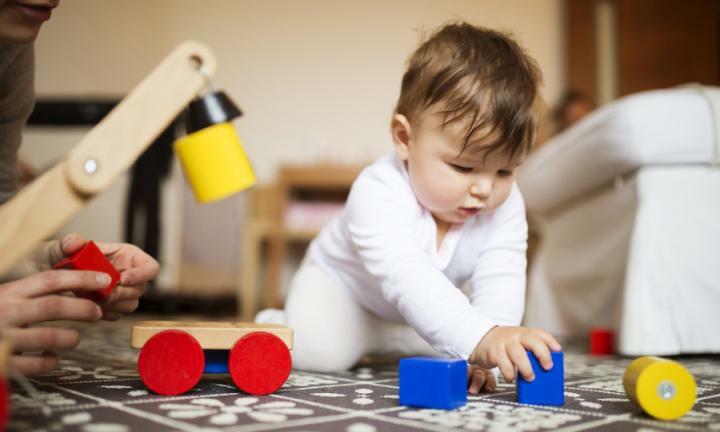 One reason babies may not be able to complete tasks could be that they jump from one thing to another, and never actually build the focus and tact which it takes to complete what they have to do. 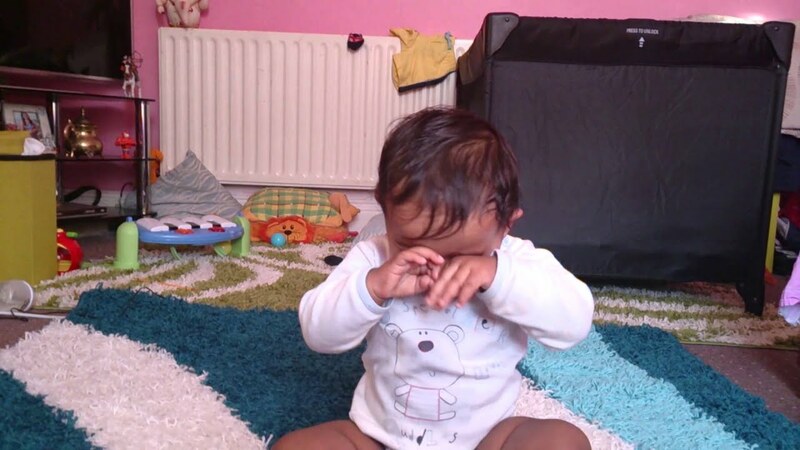 Some other way unfinished tasks present themselves is if a baby takes too long on a particular task due to the fact that they constantly ‘zone out’, and lose time without realizing that their minds are wandering. It is usual for people to forget things once in awhile, kids even more so. But for a baby with ADHD, forgetfulness is part of their daily routine. According to the American Psychiatric Association, 1 in 5 children have ADHD, so if a parent notices their child being increasingly forgetful, it may be time to visit a doctor. Forgetfulness can (in the future) lead to misplacing important things, and perhaps important dates. If allowed to develop into adulthood, ADHD would put strain on future relationships. It could also lead to a strenuous official life as it may be taken that the person is careless and cannot be trusted with important things. For little babies, parents need to keep a strict eye over them to notice whether or not their baby is forgetful. Do they often put food in their mouth but not eat/chew it? Do they often start playing a game but then forget what they were doing, and start crying for attention? If so, then it's time for a check up. 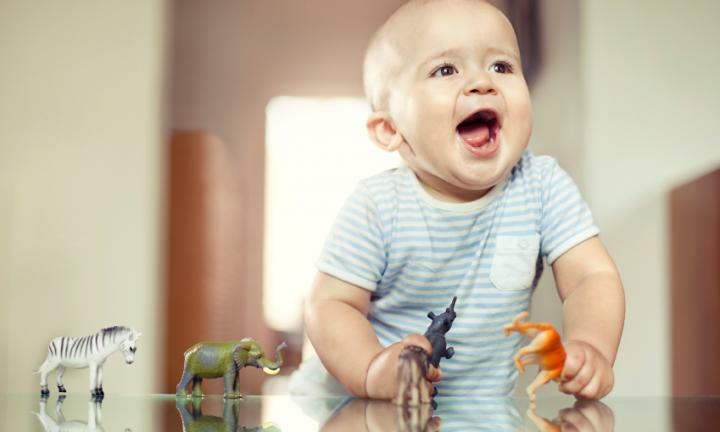 If a baby cannot play quietly, it may be a sign that they need to be checked for ADHD. Of course, this doesn’t mean that all noisy babies have ADHD. No. What it means is that inability to play quietly is one of the many symptoms of ADHD in babies. Due to a lack of focus, the brain of an ADHD patient is unable to block out background noise and this makes it a lot harder for babies with this disorder to realize they are being noisy. Again, patience and training on the side of the parents is key here. Shouting at the child will do no good. What parents are advised to do in this case is to make the kid play in a quiet place. This helps them start to see that they produce unwanted sound and they can start to curtail this behavior and become quieter. When they grow up, teaching them to play a musical instrument can be of great help in the treatment of ADHD. The musical notes help the auditory system to better organize sound and as that happens, the unwanted noise reduces. It starts out small, but it is enough to notice that something is not right when a child cannot sit still. Restlessness includes a host of problems, right from being squirmy while being breastfed, to being unable to go off to sleep (or poor sleep patterns). Such babies are also less willing to be cuddled and put up a lot of fight while being fed baby formulas. If not treated, in adult life this becomes an outlet for anxiety and restlessness to set in. How is this then controlled in the early stages? Well, children should be taken for a walk daily. The walks could either be guided or the child could go alone if it is within a controlled environment. If you have a baby, then take them out for walk in their strollers. This helps their bodies release some of the energy that makes them feel they need to move around often. This also reduces anxiety and makes way for a calmer persona. This can be very annoying. Human beings are prone to mistakes, and there’s not a single child on the planet that hasn’t made a mistake in their lives. However, children with ADHD do not have the time, the ability or the patience to calm down and double check everything they do. And that is why the mistakes occur so often with them. This is also attributed to being inattentive. A person who has ADHD is always busy in their mind and they are almost never present in that moment to focus on the task currently at hand. A baby with ADHD will stain their clothes more often because while eating, their mind is thinking about say, playing games with mommy, and they do not realize when they have spilled food on themselves. In such cases, they should be asked questions that keep them in the moment. With babies, all one needs to do is to distract them/get their attention. This quickly calls their mind back to the meal at hand. Another symptom of ADHD in babies and children is mood swings. Mood swings come in many forms but one of the most sever is Bi-Polar disorder and it has often been linked with ADHD in children. Depression is what happens in adulthood, when this goes untreated in childhood. One other negative side of these mood swings is low self-esteem. Every child feels discouraged when things do not go their way, but if a child feels discouraged more often than usual, they should get checked by professionals. This may not be so harmful in one’s childhood stages, but if ignored and untreated, it could lead to major issues in the future including rage, and suicidal tendencies. Parents should also refrain from yelling at babies and children with ADHD as they react in a severe manner to it, as opposed to children who do not have ADHD. In fact, such children usually are very easy to reason with so instead of shouting, just go ahead and talk to them. This is something more noticeable in older children (above the age of 4) than in babies. Being disorganized is a symptom of ADHD and it doesn’t progress much during adulthood. What we mean is that it doesn’t really evolve into a much more serious issue in adulthood. A person who is disorganized will have challenges in life, they will be poor time and resource managers. People in this league spend recklessly and they do not plan ahead. This makes it so difficult for them to work in a team or as employees who have to answer to a boss. This cuts across many areas of life from childhood all the way to adulthood. It can be corrected by making sure that children with ADHD keep their room tidy, simple schedules should be created for them so as to enable them stick to it. With a bit of practice, this will soon become part of them and there will be improvement. If one has a baby, then again, encourage them to put things in their places and to not leave them lying around, especially toys. 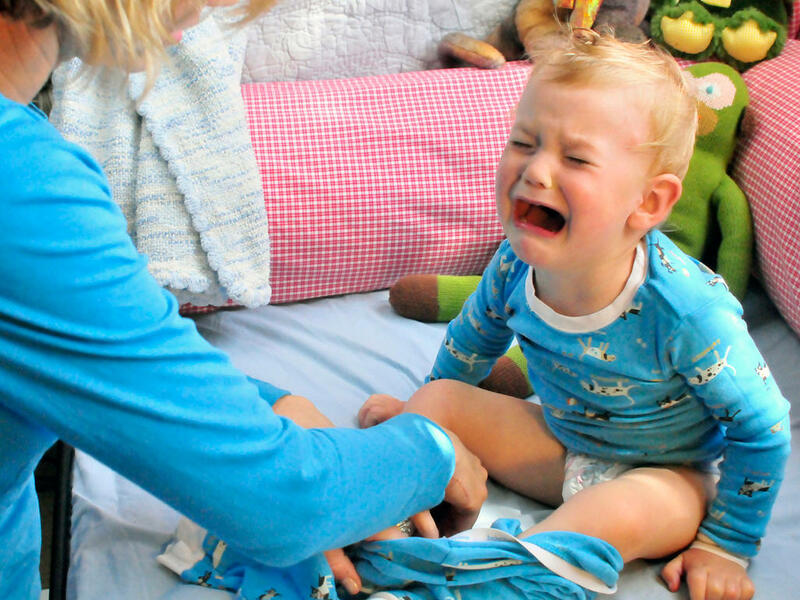 Tantrums begin before babies grow into toddlers. Needless to say, parents find it quite a challenge to deal with, especially since their baby has ADHD. This, like many other symptoms of ADHD, can continue with more intensity into adulthood. 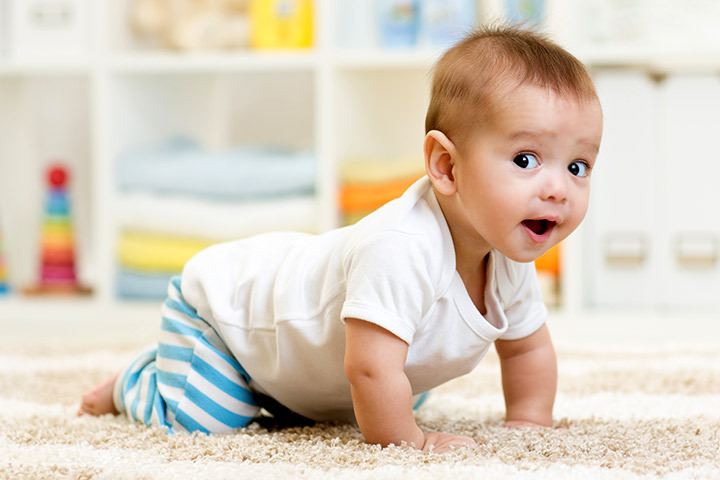 Babies can throw tantrums in many ways, including screaming, kicking or thumping their feet. Sometimes these tantrums can manifest themselves in a more troubling manner, like rocking their baby chairs or cribs. The worst case scenario, however, is hands down when babies begin banging their head against hard surfaces, which are almost always walls or their cribs. Sometimes, parents overlook such aggressive behavior as “being a child”, but that is not the case. More so since a lot of children behave like this at one point of times (or another) in their lives. However, it is a serious cause for concern if these tantrums keep continuing and getting worse as the baby keeps growing. It should be noted that nobody gives themselves ADHD, so it is very important that parents be patient with their children who have ADHD. Parents should not snap at their children just because their child appears not to be listening when they are being spoken to. It is not being disrespectful, rude or inattentive. It is the brain juggling through many things, which makes it look as though the child or baby is not paying attention. They are not being rude or, well, childish. What parents need to understand is children have to make the extra effort to consciously keep themselves in the conversation. Which is not possible for them 100% of the time. One way to help them with this is to ask questions regularly when talking to them. Ask if they understand what is being said to them, ask if they have any questions, or trigger responses from them so they stay attentive. If parents do this consistently, it should go a long way of correcting inattentiveness which would be so great for the child’s performance at home and in school – not to mention in later life. So then what can parents do? Since ADHD attacks the part of the brain that affects focus and coordination, it is important to encourage exercises that rebuilds and strengthens this part of the brain. The countdown exercise becomes one of the most effective exercises to develop focus, one of the concerns of ADHD. In this exercise, the child is asked to countdown from 100 to 1 and then the progress is watched. At first this will be difficult for a child, as they will keep losing zoning out and not following to completion. This exercise is the first step in fixing the disorganization problem we talked about earlier. As a child begins to do this exercise, they find that they become more attentive and they're able to remember things more, as well as organize themselves better. 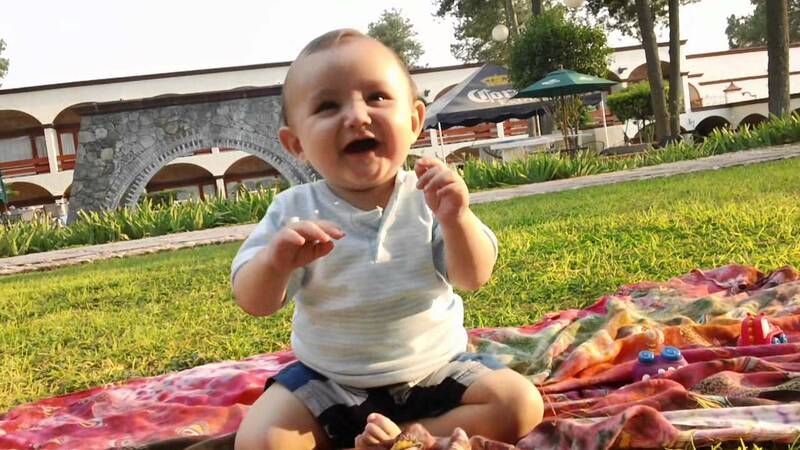 If one has a baby, then exercises like elevating the head, chest cross, tummy crawl, stroke and hug, and head to toe can be performed to keep their brains active. ADHD does not go well with sleep and it is easy to understand why, the baby is too active to fall and when they do sleep, it is usually for short periods of time. Now of course, this is normal for all babies, but if one's baby is sleeping for extremely short periods of time, it is a cause for worry. ADHD is worsened by sleeplessness as the brain is not getting as much rest and refreshment as it needs to keep short term information. As a result, the child suffers a lot of forgetfulness and loss of time during the day. 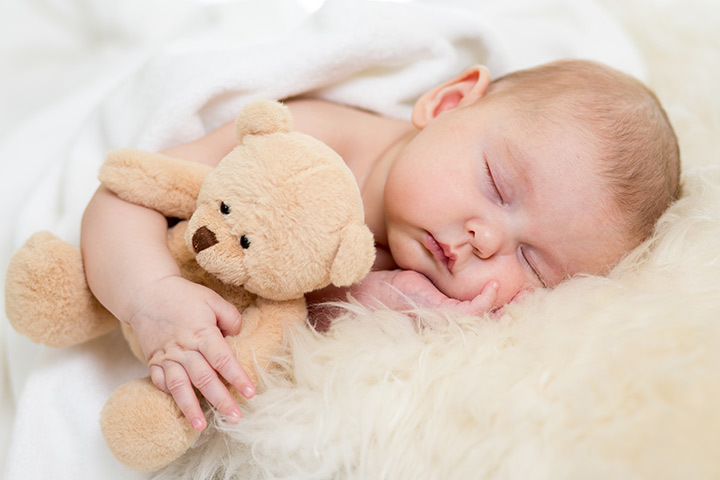 Physical exercise coupled with a change in the baby’s diet can help them sleep better. If one’s child is grown up, then keep in mind that artificial sugars in juices and cakes play a huge role in hyperactivity and insomnia. This is something which is plaguing more and more children in the 21st century, but it doesn’t have to be so. Children and babies with ADHD are most times loud. They speak their mind (or babble it out) and more often than not, they are inappropriate things. But contrary to the default reaction of most parents (which is hushing the child), they should be encouraged to engage the child’s line of thought and see where it leads. If babies are too noisy, well, let them be. Try to understand why they are being noisy. Maybe they want food, games or just attention. It is no easy task to let the baby or child be noisy, but it is necessary if the kid is to have any shot at socializing. Even if a reprimand is necessary, it should be done in a calm and calculated manner. A child who recoils because they are embarrassed is a whole harder to reach out to. This process increases aids their ability to focus as it gives the impression that they are communicating and they can think clearly. Adults with ADHD mostly turn out to be geniuses who talk to themselves and they plan better that way, which is a very good thing. All parents surely want genius children, right? The pressure and patience required to deal with a child who has ADHD is enormous. Begin by teaching your baby how to be independent. To help them reach this independence, some goals must be set, like playing games within a particular time frame, or completing a task without telling them 50 times to do it (like crawling towards mommy or daddy). Goals in this case need to be SMART. Specific: With simple objectives, easy to understand. Attainable: goals set for kids should be totally worth pursuing, this helps keep the parents and teachers on course. Timely: goals set should be accomplished within a time frame. Babies with ADHD love distractions. In fact, it is more appropriate to say that they love to be distracted. Parents are advised to limit the amount of distraction their baby or child has to deal with at any given time; especially when there is a task at hand. Distractions include loud music/TV, household clocks, fans, blenders and pretty much anything that could cause them to lose focus. As previously stated, babies and children with ADHD should be encouraged to spend more time in quiet places where they can hear themselves think their own thoughts. They will be more productive there. Sure, they always want to find a place where they can indulge their physical senses. But in order to help them, they should be taken to quiet places, daily. And since all work makes jack dull, this should not be more than a couple of minutes in a day, after which they should be allowed to go along with their business. So the baby was crawling on the floor, getting a feel for things and in the process, knocked down mummy’s favorite vase. Needless to say, mummy must be very angry, but instead of shouting at the baby, just take a deep breath. For things to work out with a baby or child with ADHD, a parent must be very patient and understanding. 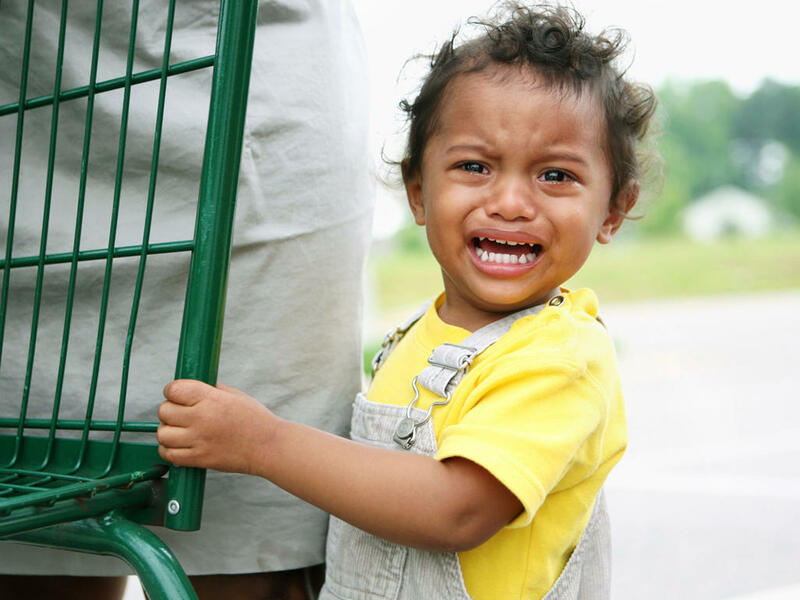 Parents usually lash out due to the fact that they are frustrated trying to keep their kid in line. But they should need to constantly remind themselves that it is not the baby’s fault that they have ADHD. Here they are advised to treat the deed and not the doer. What this means is this, while some disciplinary measures are needed, they should never be driven by anger or else the entire purpose of getting rid of their baby’s ADHD is defeated.